Advent brings a time of waiting, sometimes patiently or not so patiently, for the arrival of many things, namely Christ, in our lives. Advent brings a time of hope, of celebrating, of expectant joy. God is coming to live among us! This passage in Isaiah reminds me of Rabbi Abraham Joshua Heschel’s famous quote about how his feet were praying while marching with Martin Luther King, Jr. in Selma during the Civil Rights Movement. Blessed are the feet of those who bring good news. In the wake of hurricanes in the eastern part of North Carolina, Puerto Rico, and now Florida, it is time to have our feet move. This passage reminded me of those who walked to General Assembly from Fossil Free PC(USA). This passage reminds me of those speaking out, marching, and demanding protection for our environment. I think of the roots of the trees as feet, of all the living organisms that bring forth good news of life in abundance. Advent is a time of waiting, but waiting doesn’t mean standing still. In this season of Advent, we are reminded of all those who have prepared the way for the good news throughout history. The prophets, priestesses, proclaiming the good news, preparing the way for the infancy of this great truth. It is also a time of Mary singing the lullaby of revolution; the lullaby and joy as resistance to what is the norm in our economic, greed-based society. Those who bring good tidings, peace, and the one who will bring salvation is not for commercialization. How beautiful on the mountains are the feet of those who bring good news…of those who climb up the famous peaks to get a new vantage point to see the world, to see the beauty of creation. This Advent, may we embark on our own journey of movement as we (patiently) await the arrival of joy. May we sing joy as resistance to the order of things, and practice faith based economics that remind us of creation. If the world is the theatre for God’s glory, as John Calvin writes, then it is up to us, as human beings, to draw ourselves again and again to the living waters of the world, to protect our environment, and to stand at the mountaintop see the beauty, and run down to proclaim the Good News. I also give thanks to Jane Laping and Dennis Testerman for asking me to edit this devotional, and for their work throughout the process and assembling this for you all. My grateful thanks to each writer for their creative lens in which they took the prompt, and produced what is before you. Also, thanks to Jessica Jacks for the beautiful cover art. Blessings, Peace, Joy, and Love to you all this Advent season. 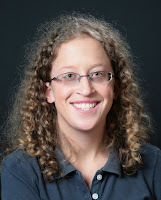 Joanna Hipp is a North Carolina native, residing in Charlotte, North Carolina. 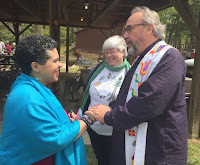 She is a member of the presbytery’s Ministry Resource Committee, vice president of the Alum Board of Louisville Seminary and serves on the Charlotte Clergy Coalition for Justice. Joanna loves minions, colorful pants and all sports. On September 23, 2018, the Church of Reconciliation (PCUSA) celebrated Native American Sunday with gratitude and humility. This service resulted from a year long journey. Three of our members traveled to the Columbia River Gorge in Oregon in September 2017 for the Presbyterians for Earth Care national conference, “Blessing the Waters of Life: Justice and Healing for our Watersheds.” There we learned about “the Doctrine of Discovery” which made a profound impact upon us. The Doctrine of Discovery refers to a series of 15thcentury Catholic decrees that gave religious and legal justification used by Europe’s colonial powers to seize Native property and forcibly convert or enslave the people. It gave free reign to the “discoveries” of the “New World.” The Doctrine was a forerunner to the concept of Manifest Destiny, and supported the thinking that led to Native American genocide. In Oregon, we were treated with great hospitality by tribal members – being invited to a salmon feast at their long house, dancing, and hearing from elders. The tribes shared the history of their sacred lifeway and culture based on the salmon runs in the Columbia River watershed. However, the salmon runs were decimated by federal hydroelectric projects put in place in the mid-20thcentury without Native Americans’ consultation or agreement. The resultant damage to their lives shows how the Doctrine of Discovery works. When we returned to North Carolina, Nancy Corson Carter and Sue Regier joined with the adult education committee to present a three-Sunday seriesin January 2018 to learn more about the “Doctrine of Discovery” that still has powerful impacts today. (See a description of this series under resourceson the PEC website.) During the adult education classes we learned more about the Doctrine and current efforts to undo what was done in the name of Christ. This began in the Presbyterian Church (USA) with the Doctrine’s repudiation by the General Assembly in 2016. The General Assembly directed an apology “Especially to those who were part of the ‘stolen generations’ during the Indian-assimilation movement in the 19thand 20thcenturies, namely former students of the Indian boarding schools.” In the northernmost US city, Utqiagvik (Barrow), Alaska, in wintry February 2017, the PC(USA) offered an official apology to Native Americans, Alaska Natives, and Native Hawaiians – significantly in a local Native language as well as English. Building on the adult education series in January, we focused our spring Earth Sabbath and its associated adult education classes on the theme “After the Doctrine of Discovery: Interconnections with Our Brothers and Sisters Among First Peoples of the Land in North Carolina.” Vivette Jeffries-Logan, of the Occaneechi-Saponi, and Professor Ryan Emanuel of the Lumbee, played key roles. Close your eyes and BE … HERE. Citing her Comanche grandmother who said “Relationship is the kinship obligation, the profound sense that we human beings are related not only to each other but to all things – animals, plants, rocks, -- in fact, the very stuff the stars are made of. Thus we live in a family that includes all creation; each of us carries wisdom and medicine that can contribute to our common good. 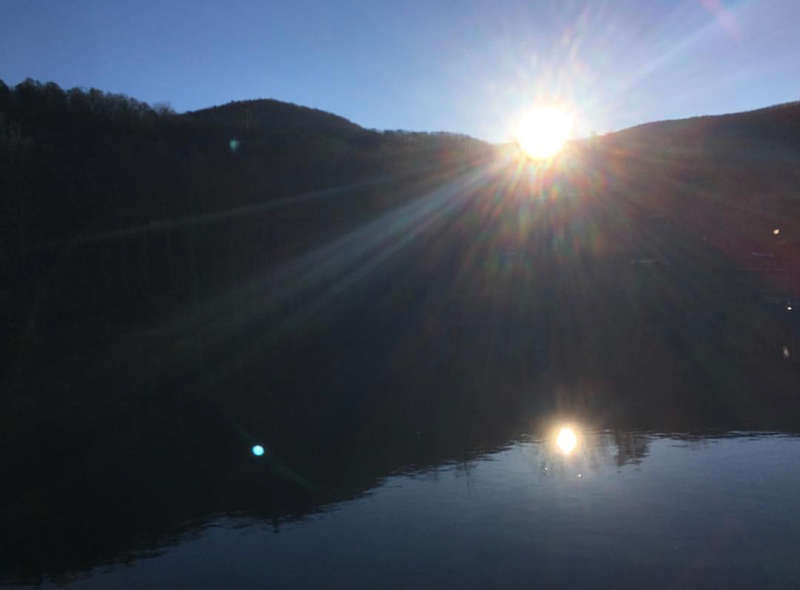 If we take time to listen, to be present with ourselves and all of creation, we will know how to walk in a way that honors that truth.” In her language Huk windewahetranslates to “We are all Related,” the heart of her daily practice. We learned from Professor Emanuel that when the federal regulators issued a stop work order for the Atlantic Coast Pipeline (ACP), they also released a document that denied a regulatory re-hearing on the pipelines. Thus the Federal Energy Regulatory Commission (FERC) effectively dismissed the concerns of the Lumbee and other tribes in the path of the ACP because they lack full federal recognition even though “Federal advisory bodies have already established best practices, which urges regulators to consult with tribes regardless of their federal status.” This violated the rights of tribes who have deep knowledge about the potential environmental, socioeconomic, and cultural impacts of the pipeline project. 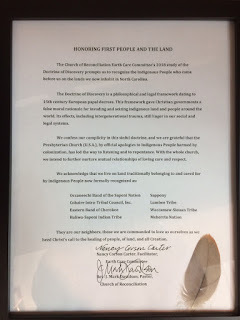 As “a concerned faith community,” we wrote to state and national environmental groups (DEQ & EPA ) protesting this exclusion (sadly, the Doctrine of Discovery is continuing). Our final adult education session after Earth Sabbath used ideas of the“Sense of Place” brochure developed by Creation Justice Ministries. We explored our individual sense of sacred places, the elements that we associate with “home” and how these influence our spirituality.